Pandit Dindayal Upadhyay Medical College, Rajkot was started in June 1995. It is affiliated to Saurashtra University, Rajkot. P D U Medical College, Rajkot offers various graduate courses as well as Post Graduate courses. 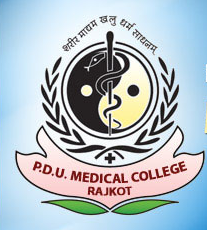 P D U Medical College, Rajkot is affiliated to Saurashtra University, Rajkot. List of facilities available at P D U Medical College, Rajkot for students.